Chiropractic care works best when you start early. At Tipton County Integrated Medicine, our specialized pediatric care with soothe your child’s senses and keep them playful and active in the years to come. We encourage parents to bring infants to us the first day there are out of hospital. There is trauma associated right from birth, which can be addressed for a healthy future for your child. 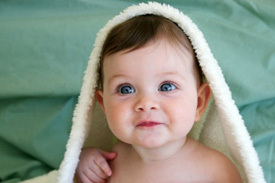 We offer free checkup for all new born babies in our clinic. Ultimately every person we meet have had problems that started long before they walked in as chiropractic patient. By getting the problem detected early, a lot of the unnecessary pain and illnesses can be avoided. Our goal is to find the root problem of the condition and how the mechanical component affects the nervous system. Focusing on this has helped our patients with the conditions below and more. We have different techniques and specialized tools necessary to adjust children and treat them the way they should be treated. The methods are different than what we use for adults and often require very little or no pressure to adjust them. Children simply love adjustments and feel absolutely no pain. They are at ease and heal faster through chiropractic care. Contact us today for a free evaluation of your child.